All of our seminars are led by Calla Property’s Managing Director, and one of Australia’s leading property experts – Susan Farquhar. Susan built Calla Property on a proven research methodology that achieves consistent capital growth for her clients. 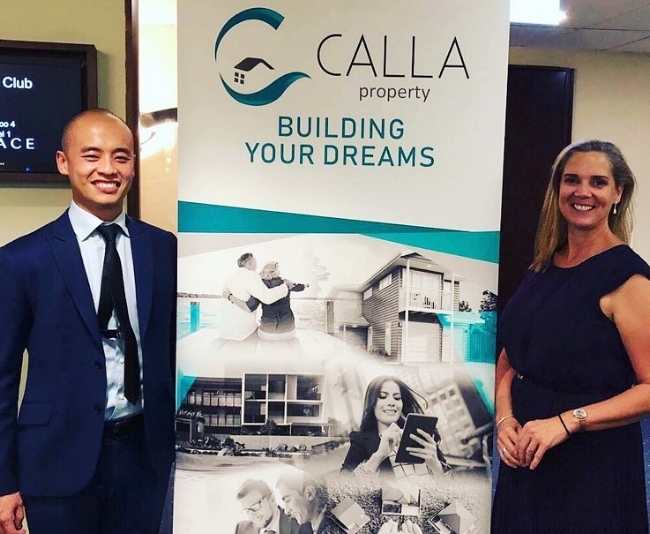 ‘Calla Property Insights’ is a detailed and holistic approach to building an investment portfolio and has been developed by Susan after many years of buying and selling property for herself and her clients. Backed by her MBA studies and mortgage broking and financial planning qualifications, Susan understands how individuals feel about money and debt and will empower them to make better financial choices. Property investment is an avenue of wealth creation that cannot be entered lightly. Not all properties make good investments, and not all investments will guarantee profits. The fact is, if you are considering getting started in property investment, you will need to have completed at least six months to a year of hard yards and preparation before you can even think about signing for and securing your first investment. Our seminars aim to teach you what’s important to consider in this process. Your research and preparation before securing a property enables you to achieve the most out of your investment. Whilst property investors will conduct extensive research on market conditions and even location, there are aspects of investing in property that are overlooked and not considered. Some of these factors hold a great deal of importance, such as the importance of formulating a plan, financial literacy, and even supply and demand. Our seminars will introduce you to some of these aspects of the investing process, and ensure you aren’t forgetting anything when it comes time to invest. As well as learning, attendees can connect and network with other like-minded professionals. Learning from other investors is a fantastic way of developing your own understanding of property investment. Calla Property’s trusted network of mortgage brokers, accountants and property developers are also on-hand to help you achieve your dreams. What better way to finish off a seminar on property investment than to enjoy a glass of champagne, some tasty nibbles, and a conversation with one of Australia’s leading property experts? For each of our seminars, we have an allocated timeslot after the presentation, where attendees can share a drink and chat to our speakers and/or book an appointment to discuss in more detail. Join us at our next seminar on the 12th of April to learn ‘Where is the best place to invest now?’. Whether you’re a seasoned investor, or new to the property market, our seminar will be a fantastic opportunity to learn about the importance of ‘location’ in property investment, as well as some of the current hot spots for investment. If you would like to join us, register to secure your seat HERE or RSVP on our Facebook Event page.